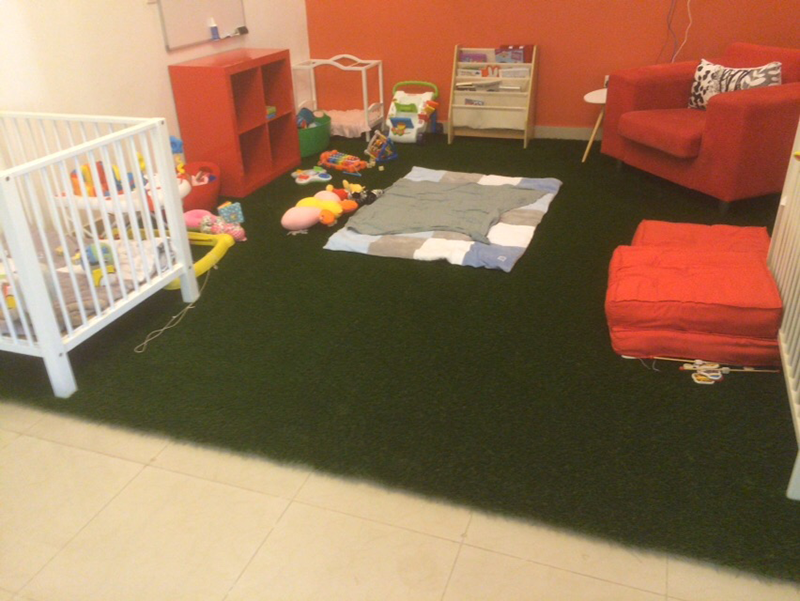 The artificial turf used for landscaping is ornamental grass that looks more appealing and has softer fibres than grass used for sports fields. 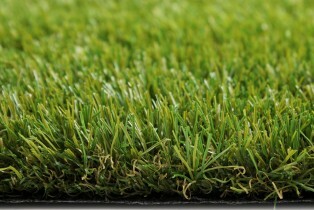 This type of artificial grass has a long pile carpet to create a more natural effect. Sometimes a special filler is used to prevent the fibres from flattening. The first systems where no filler was needed were introduced mid-2008. 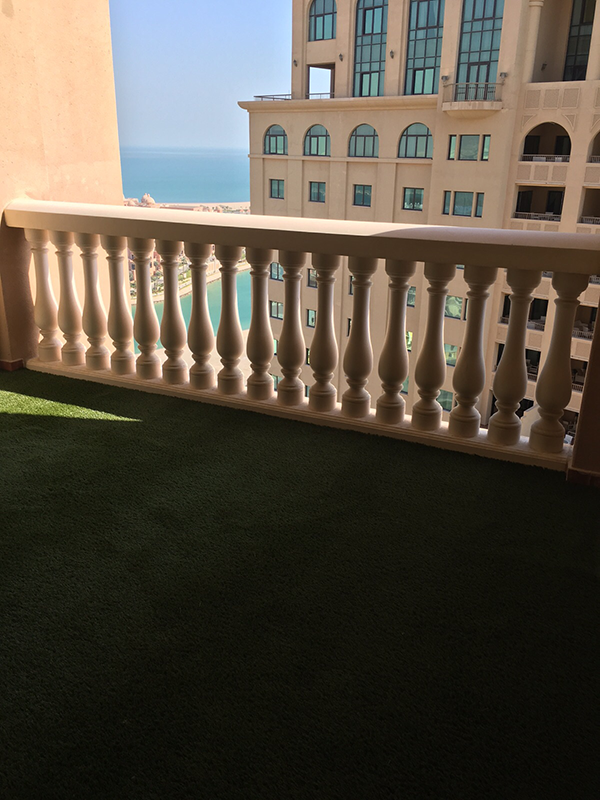 Unfilled systems also consist of long pile carpets, but the sand has been replaced by a frizzy kind of artificial grass fibre, also known as mossy wire or thatch. When it comes to quality, it does not really matter if it is a sand-filled system or an unfilled system. Both have their pros and cons. Which one you should choose depends on what you will be using it for as well as on your specific situation. 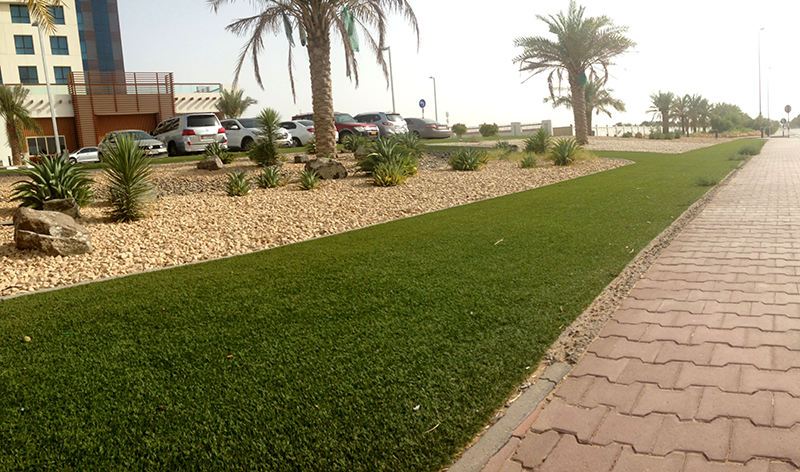 Sand (or any other type of filler) is needed because long blades of grass always need some sort of support. If they are not supported, they will not stand upright. Sand is the ideal choice because it is clean, natural and heavy. 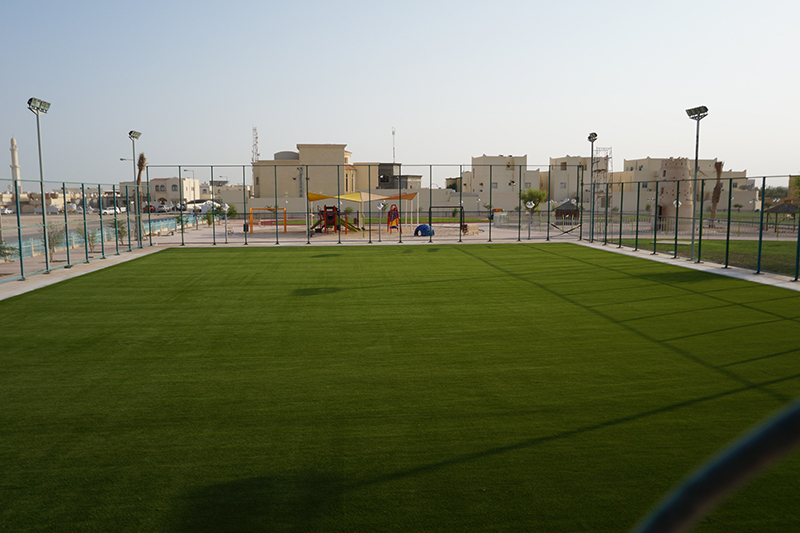 Sand offers a lot of stability as it makes the artificial lawn heavier and protects it at the same time. 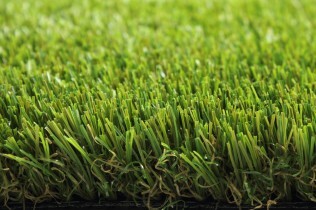 Your artificial lawn will not be able to move from its place. 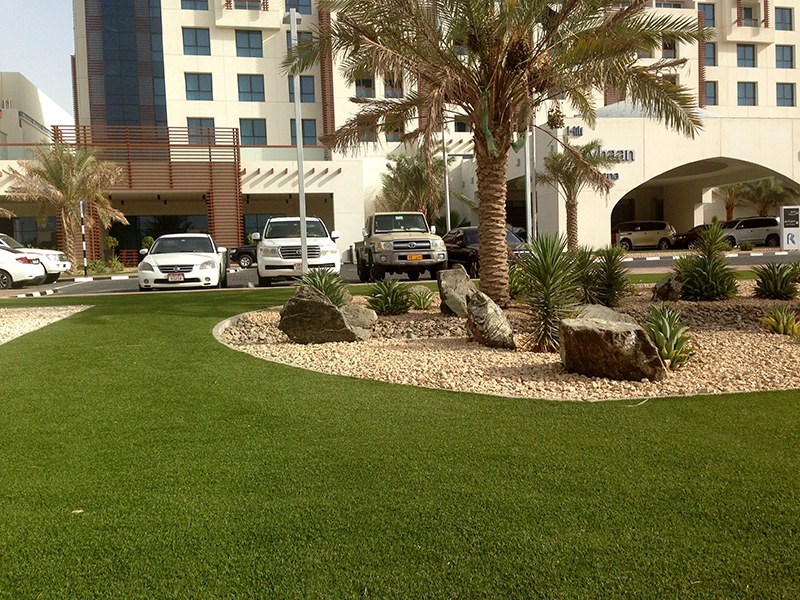 Sand also enhances the natural look of artificial grass. 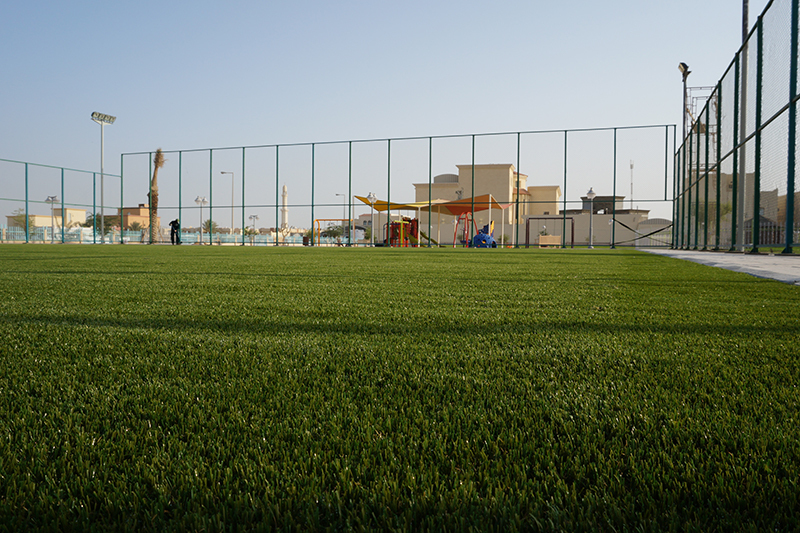 A lot of people think that sand requires more maintenance and can cause more contamination of the turf. This is not the case. It may require slightly more attention than systems with thatch, but this is insignificant. Besides, sand has the benefit of its appealing and look. 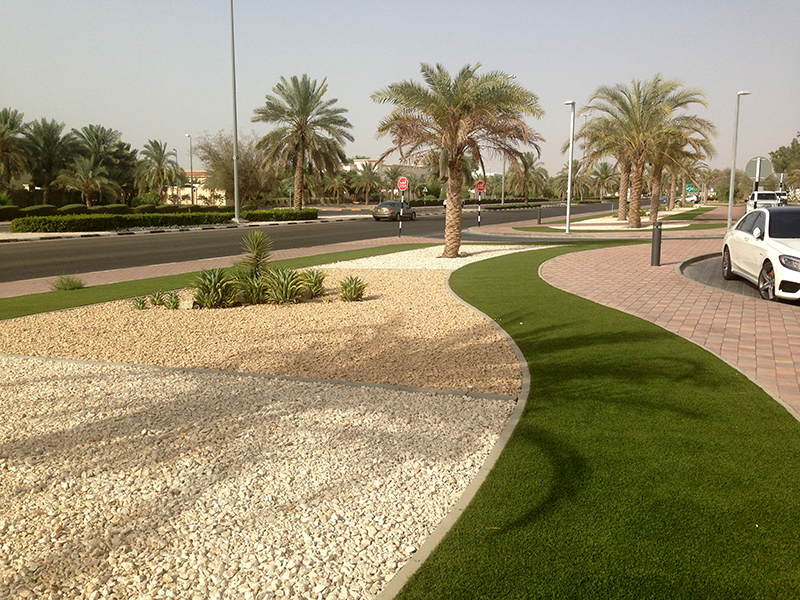 In addition, the system with sand is guaranteed to remain looking beautiful for many years. Long blades of grass need to be supported. 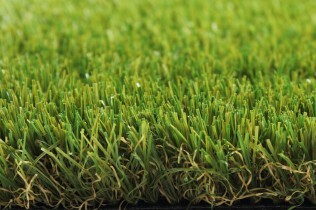 They can be supported by adding a layer of sand, as described above, or by using a frizzy fibre integrated into the bottom of the grass carpet. 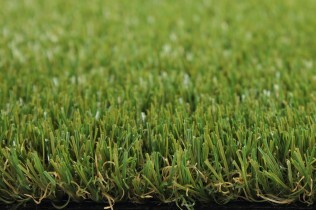 This frizzy fibre, also known as thatch, rootzone or mossy wire, makes the artificial turf look fuller and more appealing. 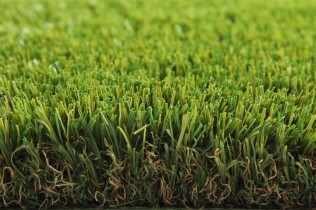 Whether you should choose artificial turf with thatch or without depends on what you are going to use the grass for. 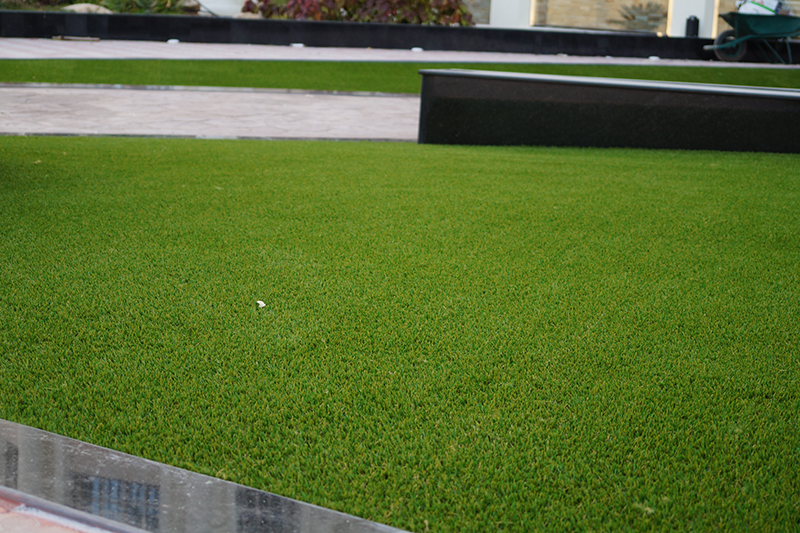 Filler sand protects the grass, provides stability and prevents creasing of the lawn. 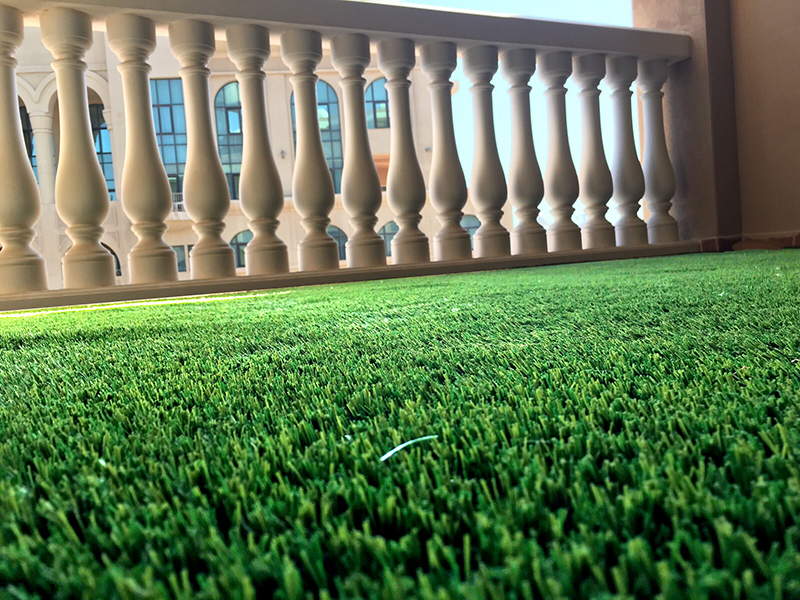 Please note that for artificial grass with thatch it is also possible to install it with a thin layer of sand to increase the life and stability of the artificial turf. The filler sand will be invisible as it is covered by the frizzy fibres. 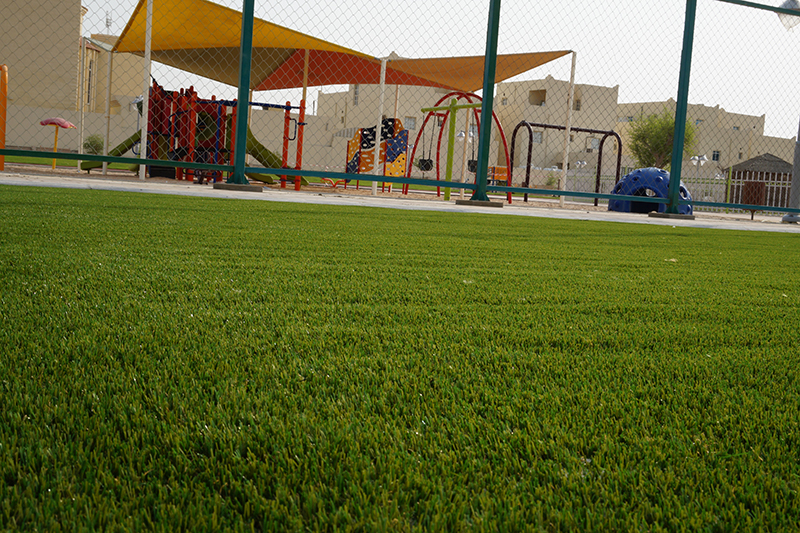 The amount of sand used is a third of the amount used in systems without thatch. 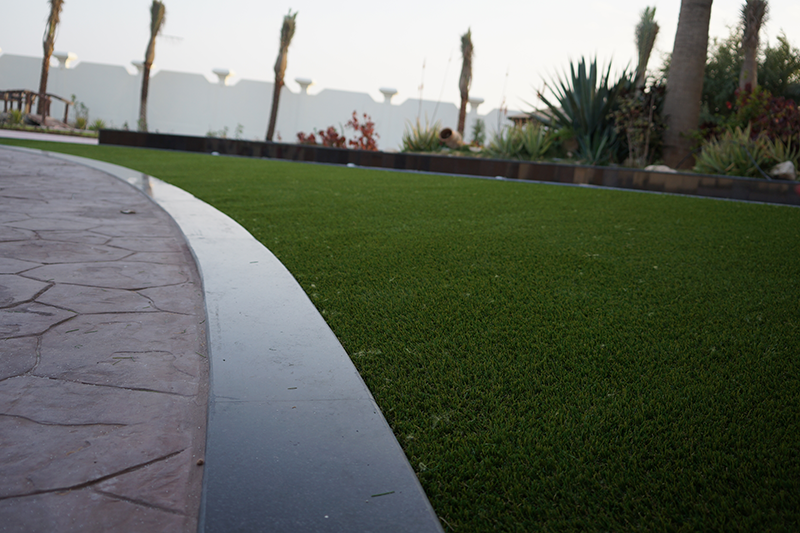 Royal Grass® uses sand that has an appealing earthy brown colour to make your artificial lawn look more natural. The colour is burned into the sand (ceramic), making the grains of sand dark brown to the core. Thanks to this process, the sand will keep the same colour throughout its entire lifetime and will not become lighter with time. Sand is natural, clean and 100% odourless.